Le Bolet Parasite' & 'Le Bolet Poivre'. Engraved descriptive text in French below the image. 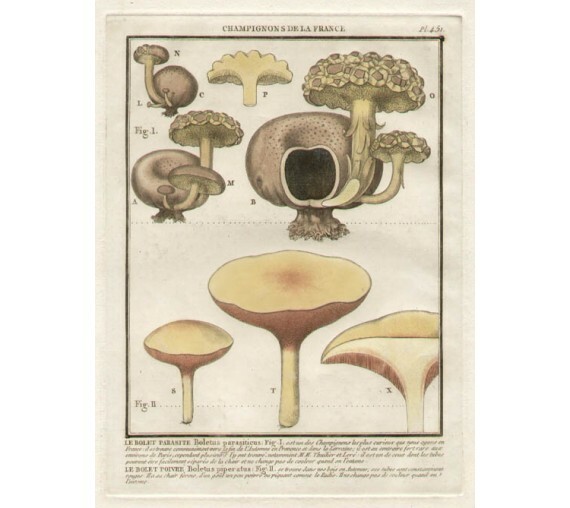 From Bulliard's 'Histoire des Champignons de la France', a series of engravings describing the mushrooms of France, published in Paris in 1791. Bulliard was a French physician and botanist. 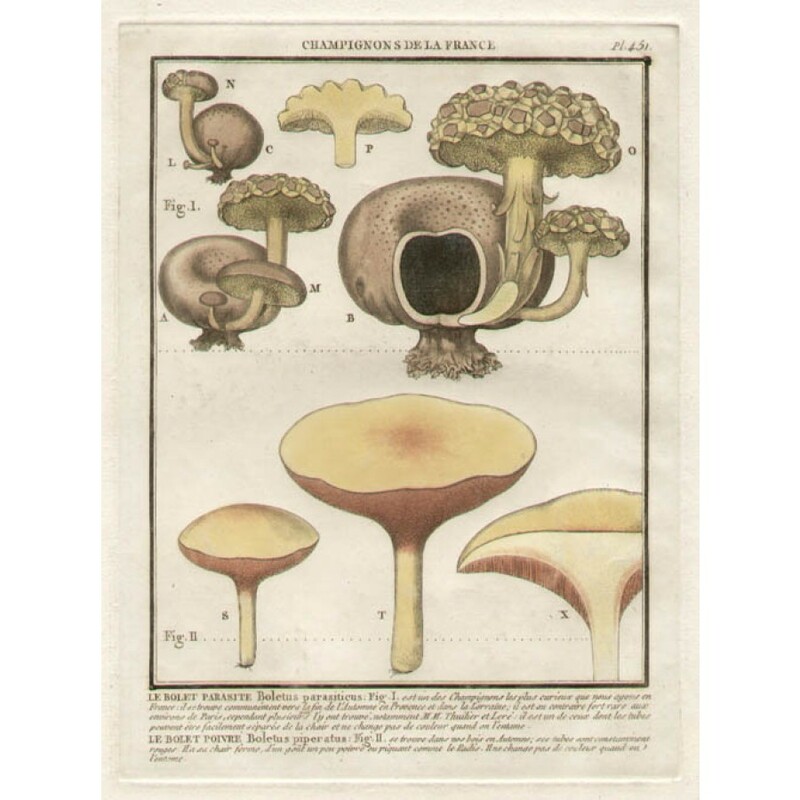 He contributed to the spreading and consolidation of botanical terminology and the Linne system. 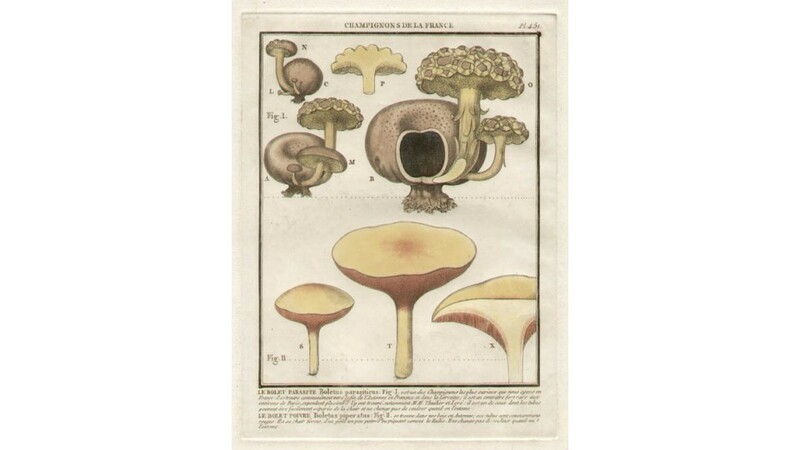 He was especially important in the area of mycology.